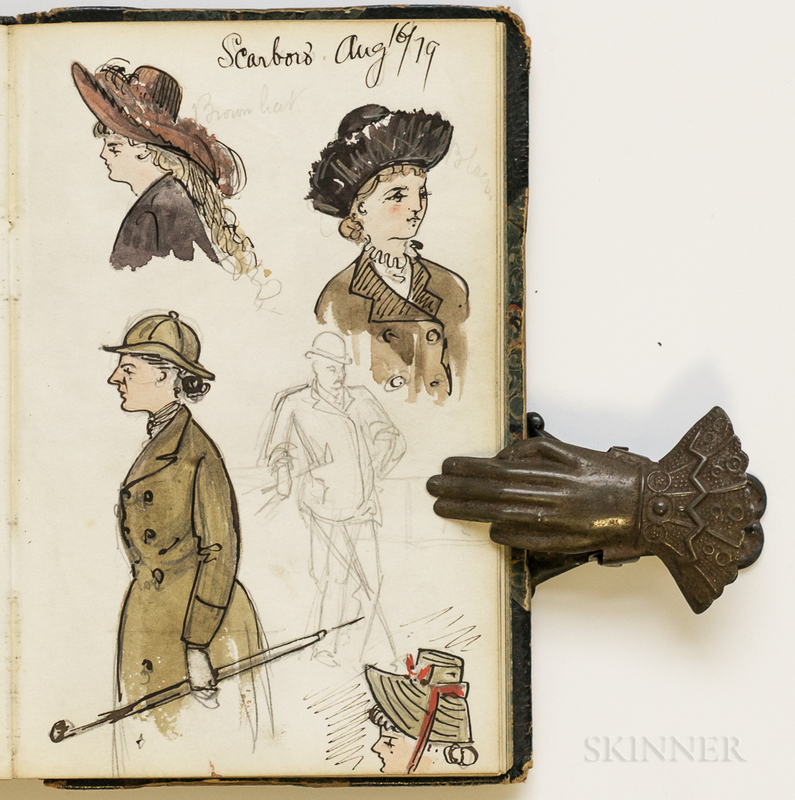 Grand Tour Sketchbook with Drawings of Mark Twain, July-August 1879. Grand Tour Sketchbook with Drawings of Mark Twain, July-August 1879. Grand Tour Sketchbook with Drawings of Mark Twain, July-August 1879. 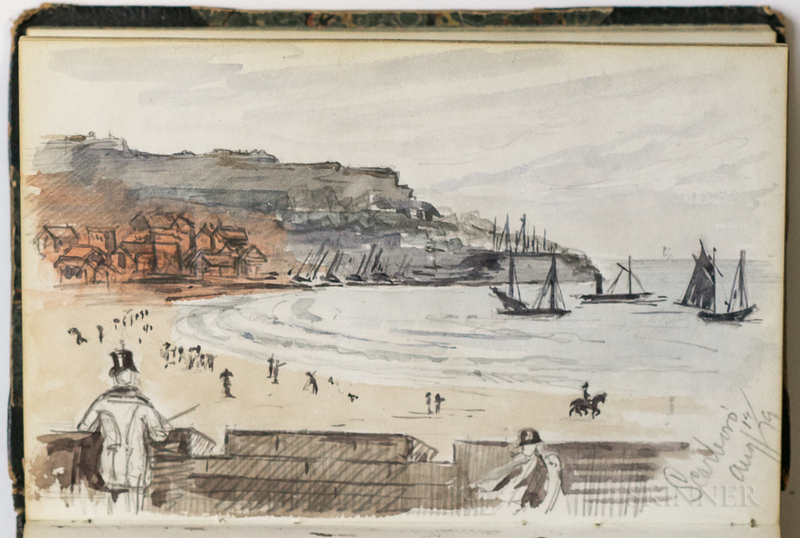 Grand Tour Sketchbook with Drawings of Mark Twain, July-August 1879. 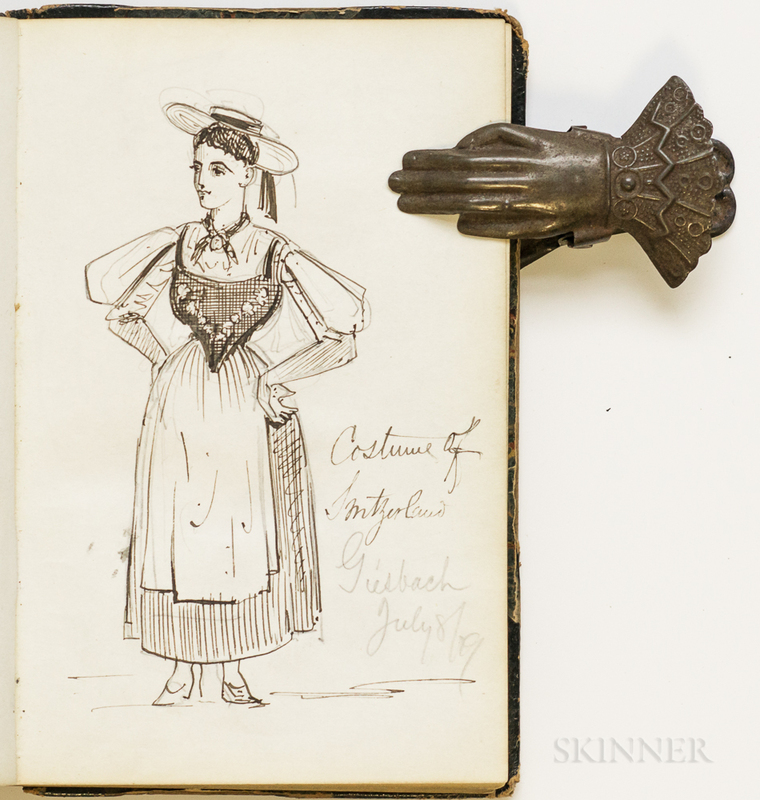 Grand Tour Sketchbook with Drawings of Mark Twain, July-August 1879. 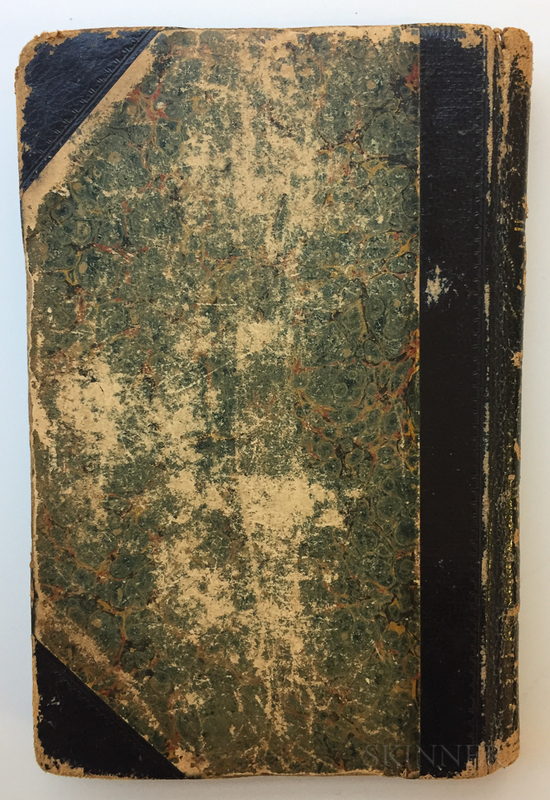 Grand Tour Sketchbook with Drawings of Mark Twain, July-August 1879. 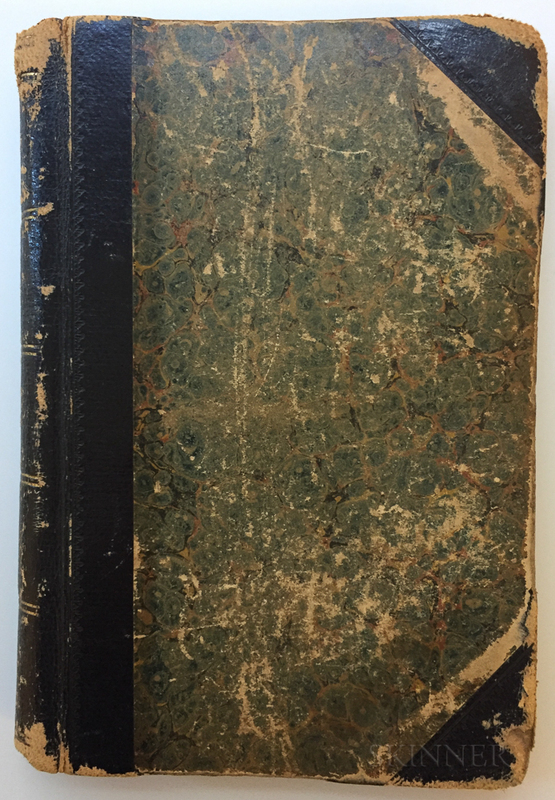 Grand Tour Sketchbook with Drawings of Mark Twain, July-August 1879. 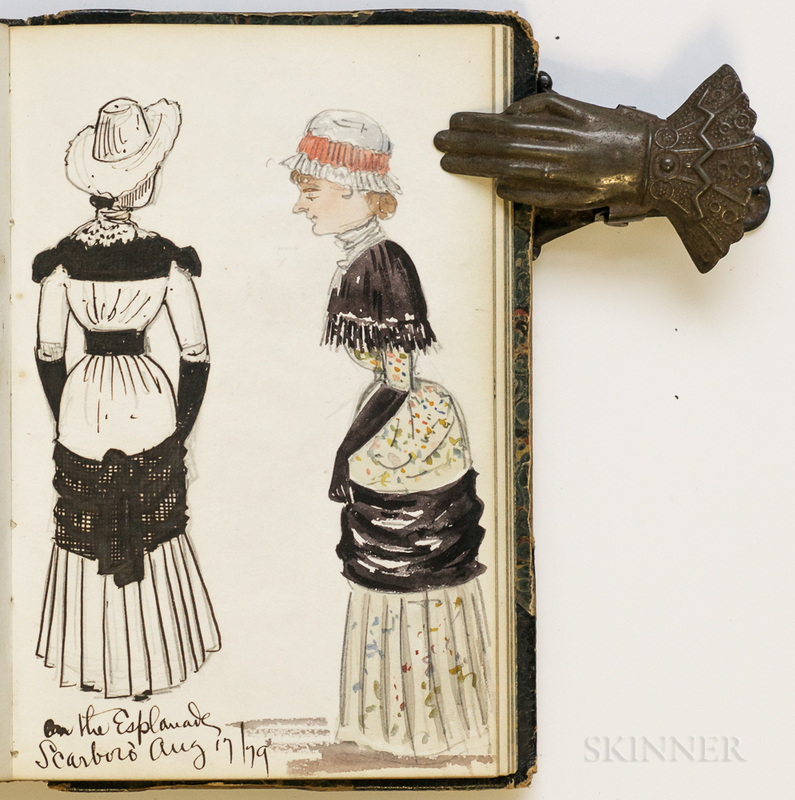 Grand Tour Sketchbook with Drawings of Mark Twain, July-August 1879. 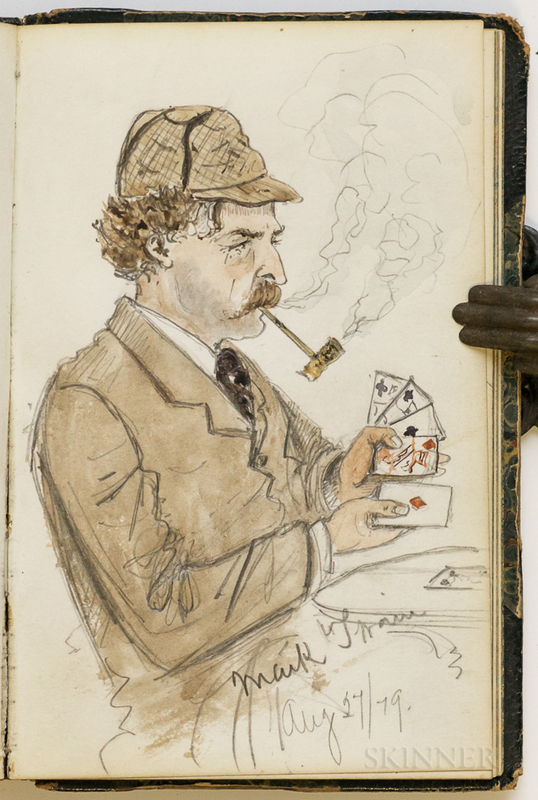 Grand Tour Sketchbook with Drawings of Mark Twain, July-August 1879. 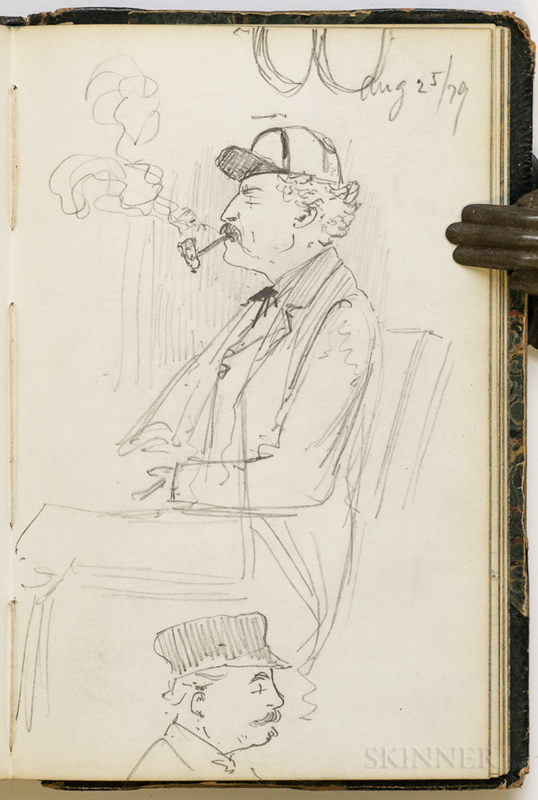 Grand Tour Sketchbook with Drawings of Mark Twain, July-August 1879. 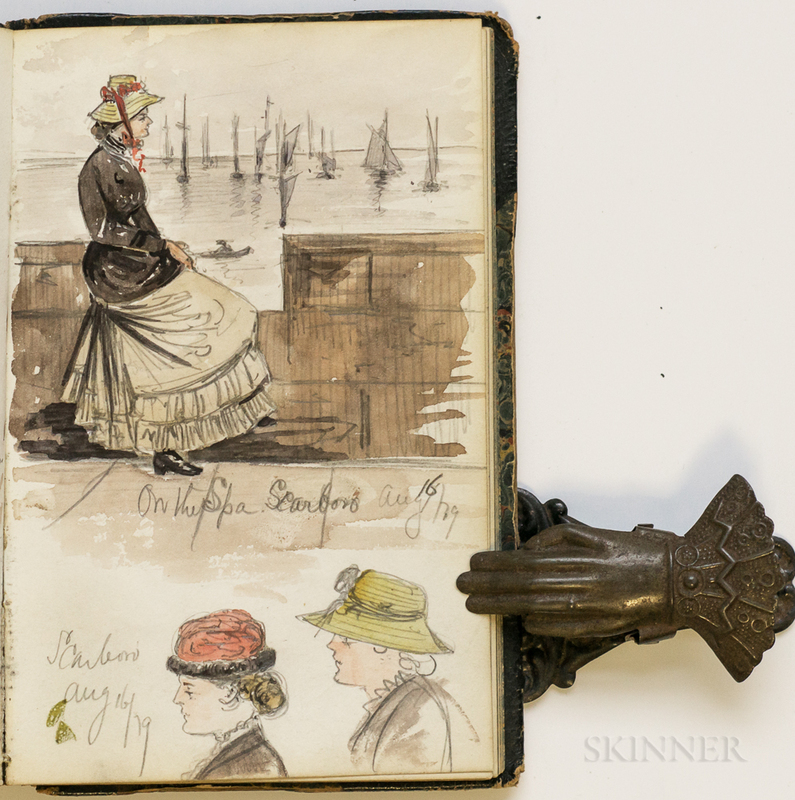 Grand Tour Sketchbook with Drawings of Mark Twain, July-August 1879. 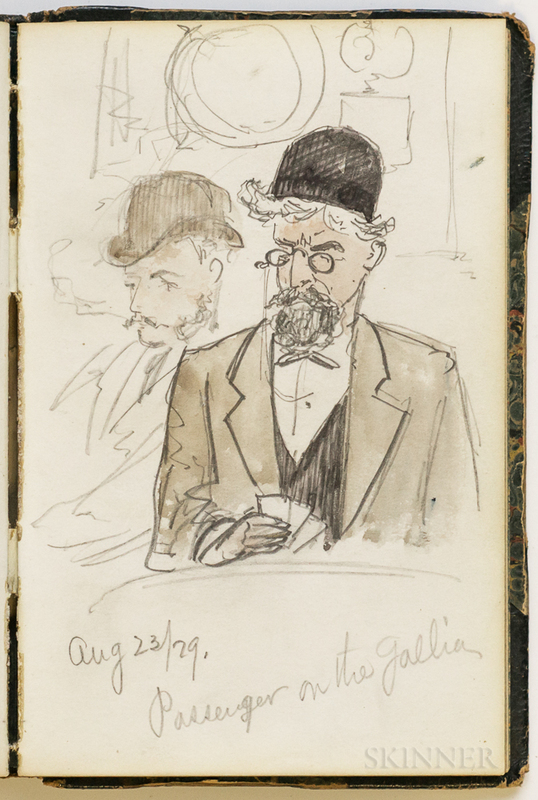 Grand Tour Sketchbook with Drawings of Mark Twain, July-August 1879. Octavo sketchbook, purchased from G. Fell, stationer, 60 Piccadilly London, by an American abroad, containing 150 pages, almost all bearing pencil, pen-and-ink, and colored sketches of buildings, landscapes, people (with an emphasis on their dress and character) in Germany, Switzerland, and England, including the journey home to New York, with approximately thirty drawings made on board the Cunard line's Gallia in August of 1879, featuring two portraits of Mark Twain, who was a passenger, one in pencil, the other finished in colors, with some notations at the end of the book regarding English phrases and accents, travel destinations, costs, et cetera, the work of a trained and skilled artist with a sense of humor, should be seen; original half leather and marbled paper boards, 6 x 4 in.